Built at the start of the 19th century, the old house at no 87 Ma May street is one of the oldest houses in Hanoi built in the old pipe- shaped architecture. This was a very popular architectural style in the past. The house has had a number of owners, but the original architectural style is still preserved. 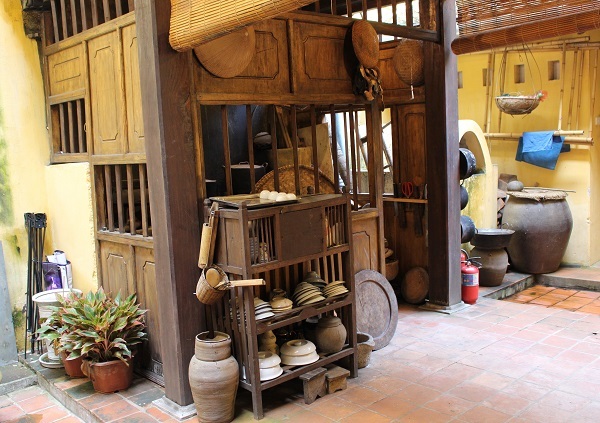 Before 1945, the owners of the house was famous rice trader in Hanoi, The house welcomed many traders from all over the country. After 1945, the owners sold this house to a rich Chinese family who specialized in selling and filling prescription medicines. The owners lived in the house for less than ten years, and then moved with his family to the South, leaving the house without a real owner for a long time. 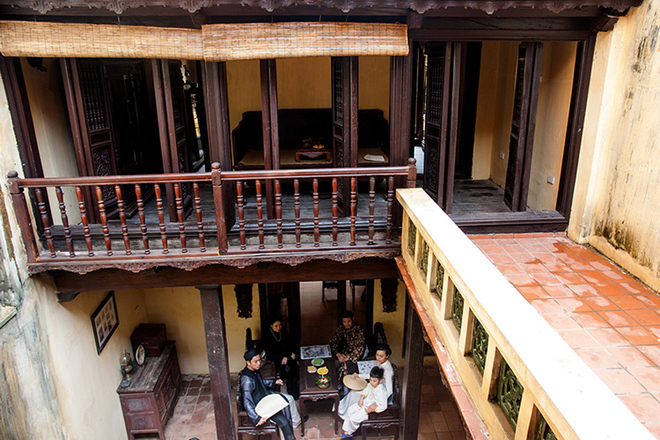 In 1954 the Hanoi Real Estate Department took it over and allocated it to five- holds who all lived there together. Covering an area of 157.6 square meters, the house is 28 meters long, 5 meters wide in the front and 6 maters wide at the back. As the owner of the house was a trader, he designed the house in the “Mo Hau” style (narrow in the front and wide in the back) believing that he would be lucky in business. The house is built in the pipe- shaped architecture which was so popular in the past. It has three apartments. Each apartment is separated by a small space called “Gieng Troi” (Well of heaven). The house frame bears the main force of the house. The stair are made of ironwood and carved. The sloping roofs are covered with two layers of tiles: Flat tile inside layer and toe- cap tile outside layer. 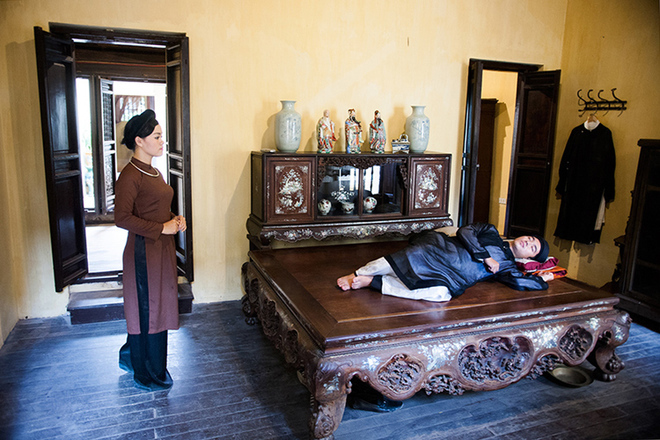 In the past, the first apartment on the first floor had trade exhibits and produced traditional handicraft products. The well of heaven in the middle was used to grow plants to make the house more spacious. The second apartment provide a relaxation space and place for storage of goods. The well of heaven on this floor was used to cook and wash clothes. The final apartment was used for sanitation and storage. The second floor of the house is the place where the owners live. The first apartment is used for welcomed guests and placing the ancestral altar. There are wooden statues, bronze objects, horizontal lacquered boards, an incense burner and parallel sentences on the altar. The second apartment is the living place of the house’s owner. There is a carved settee made of ironwood and an old tea chest, the final apartment is the place for study and relaxation, It has stone and wooden chessboards, pipes made of bamboo, bronze or aluminum in the late 19th century, dusty embroidered frames and looms.